SAIL. SMILE. EXPLORE. LEARN. SWIM. EAT. SNORKEL. SLEEP. REPEAT. 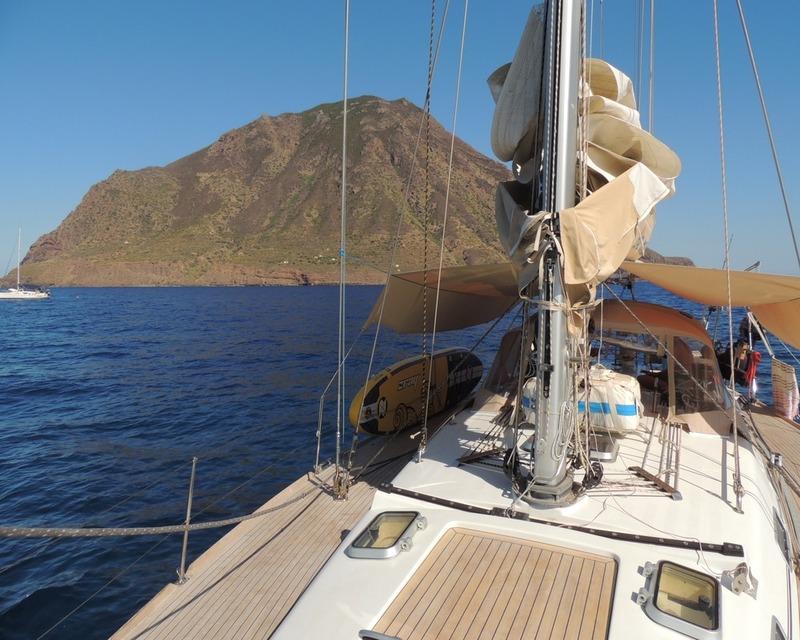 Named after the demigod of the winds Aeolus, this volcanic archipelago situated north of Sicily is one of the most interesting sailing destinations in the Mediterranean Sea. The always active Stromboli, romantic Lipari, remote Salinas, Vulcano with its mud baths – you will never become bored with the diversity of these beautiful Italian islands. An unforgettable sailing adventure starts HERE! The largest of the seven inhabited Aeolian Islands. 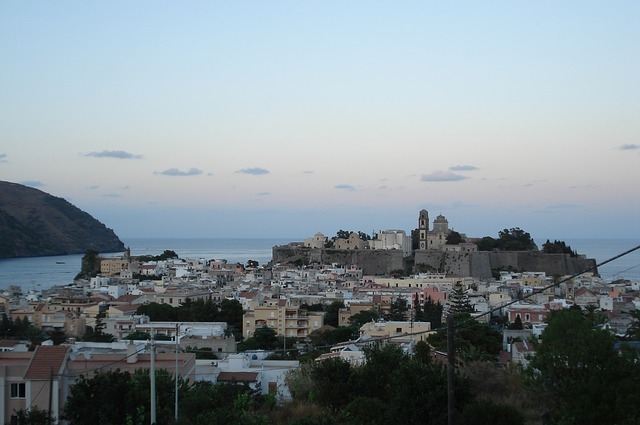 Translucent waters give way to green hills and the ancient fortified walls of Lipari Town rise protectively above its two ports. The pleasant town has a lot of cafes and restaurants, you can easily get lost in the picturesque streets for the whole day. 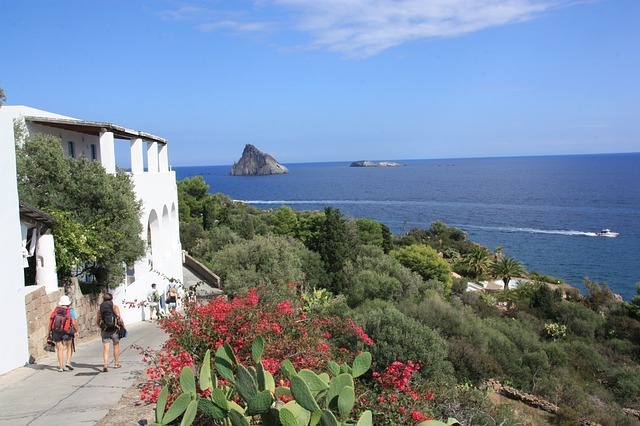 Tiny Panarea, the smallest of the inhabited Aeolian Islands, measures just 2.5km by 1.8km. This diminutive size, however, belies its status as the archipelago’s “VIP island”. In the summer, the island’s 300 permanent residents are joined by Italy and Europe’s elite (think members of the Bulgari, Visconti and Borghese families, Prince Laurent of Belgium and many others) who own houses there. Somehow it still manages to be very down-to-earth and romantic at the same time, come to see for yourself! The strongest emotion is when we pass by at night, when the eruptions and scarlet lava make the night sky glow red, defying the stars. This fire giant will take your breath away! It is definetely one of the very special and unique places to see once in a lifetime. If you would like to see a real vulcano explosion and you don’t mind trekking to the summit of 900m – you will be guaranteed an exhilirating show! 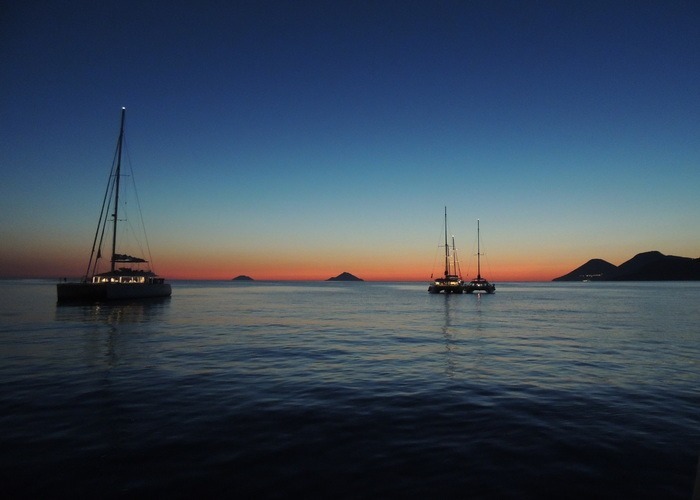 Vulcano is the first island you meet coming from Milazzo, just 12 miles away. Near the port you are struck, both by the beauty of the place, and by the acrid smell of sulphur which fills the air. This phenomenon, which you soon get used to, is due to the ‘fumaroles’, the venting of steam, sulphur and carbon dioxide at a high temperature from the crater or from cracks in the ground. The fumaroles are a reminder that the volcano is still active. 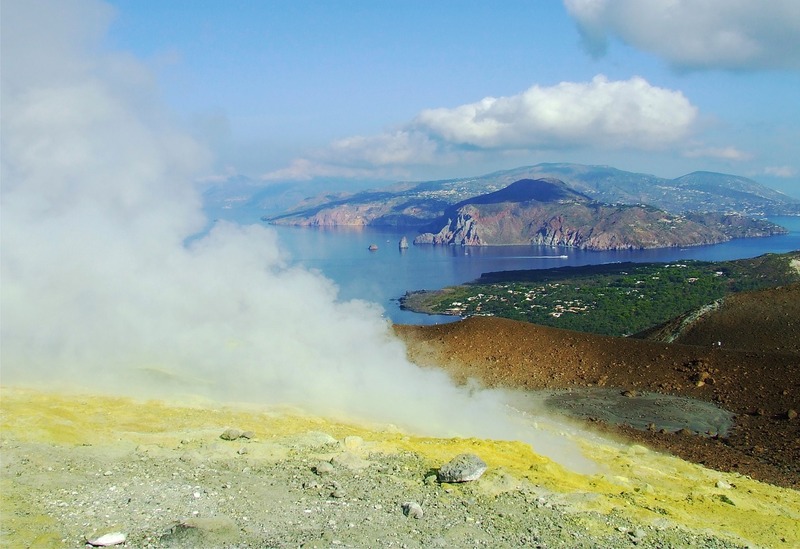 You may take a hot mud bath or play with the bubbles at the beach or you might decide to walk right up to the top of the Vulcano itself and be rewarded with magnificent views of the crater and the islands around it.